Although there are countries in the world where suicide is more widespread than Japan, in the Land of the Rising Sun taking your own life there is not considered shameful. In contrast to Christian-dominated Europe, the most popular religions in Japan neither condemn nor punish such an act. This is influenced by samurai ethos cultivated in the media, where ritual suicide is used as a way to wash away shame and save one’s honor. The kamikaze pilots who carried out attacks on American targets during the Second World War are no less esteemed. 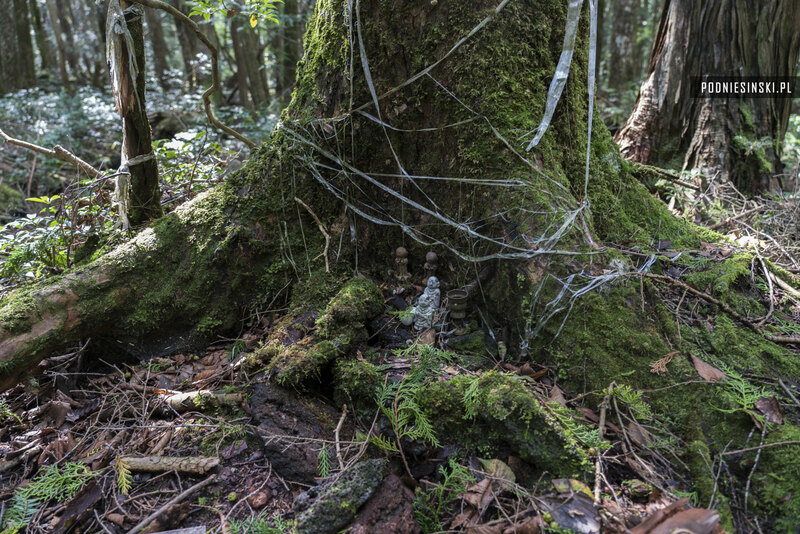 The impact of this cultural heritage, consent, even encouragement are also visible in the modern world, specifically in Aokigahara Forest, known around the world as the Suicide Forest. 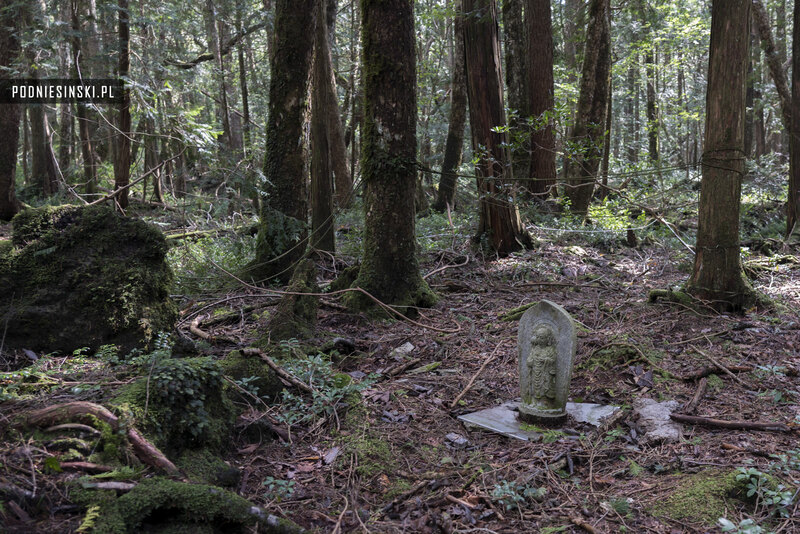 For more than three centuries, Aokigahara Forest has been infamously known as the home to the yūrei, ghosts of the dead. Some sources also indicate that the forest was the site of the mythical practice (ubasute) of killing of old or infirm family members who are brought into the mountains or other remote places and left there to die. 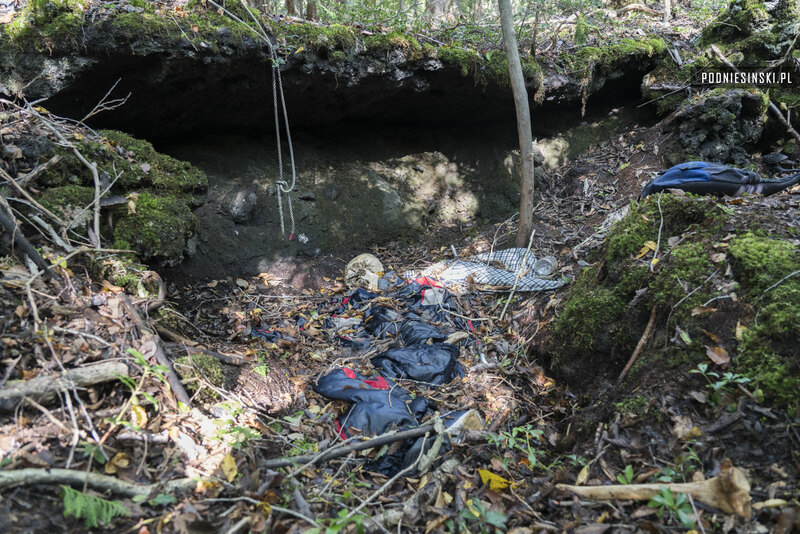 However, it was contemporary literature and films that greatly contributed to the popularization of Aokigahara Forest as an ideal place to commit suicide. In particular, there are two books by Seichō Matsumoto (Tower of Waves i Black Sea of Trees) in which the protagonist decides to end their life in Aokigahara as well as an American horror film, The Forest, about a young American girl who enters the dark forest in search of her sister. Unfortunately, these fictional characters have become models for real people. In the 1980s, more and more suicides in the forest began to be noted. A significant increase occurred in 1993 following the publication of The Complete Manual of Suicide by Wataru Tsurumi. The guide, published in more than a million copies, describes 11 methods of death and ranks them according to pain, the degree of complexity of the preparations, the look of the body after death, and mortality rate. 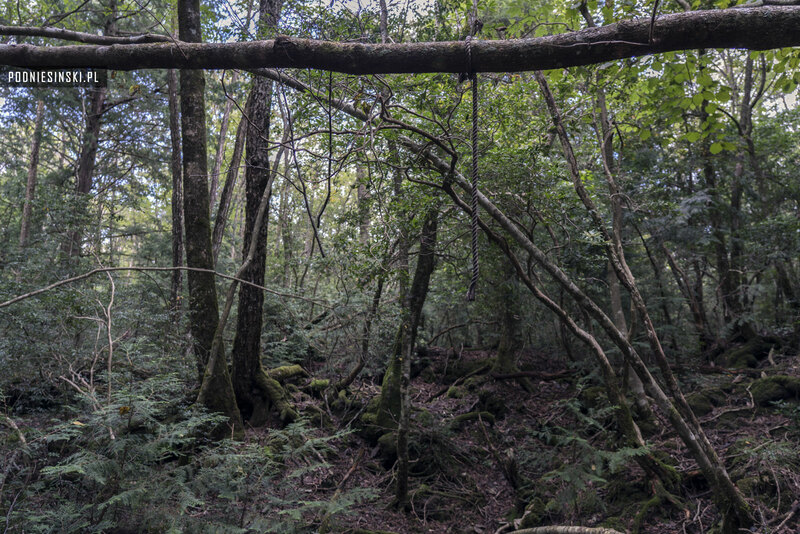 The author stated that Aokigahara Forest was the perfect place to take one’s life, and even indicated places that are less frequently visited by tourists in order to make it harder to find the body. Apparently, as a result, the number of corpses found began to increase. In 2010, 247 suicide attempts took place here, 54 of which were “successful”. This is an average of one per week, although this number could in fact be higher because many bodies are never found. It is also suspected that, as a result of the triple catastrophe in Fukushima in March 2011, the number of suicides could have increased further in subsequent years. Everything, however, is based on unofficial information and estimates because the police refuse to release official statistics in hopes of discouraging people and that the forest will cease to be associated with suicides (they also refused my requests and did not allow me to verify if this strategy was effective). 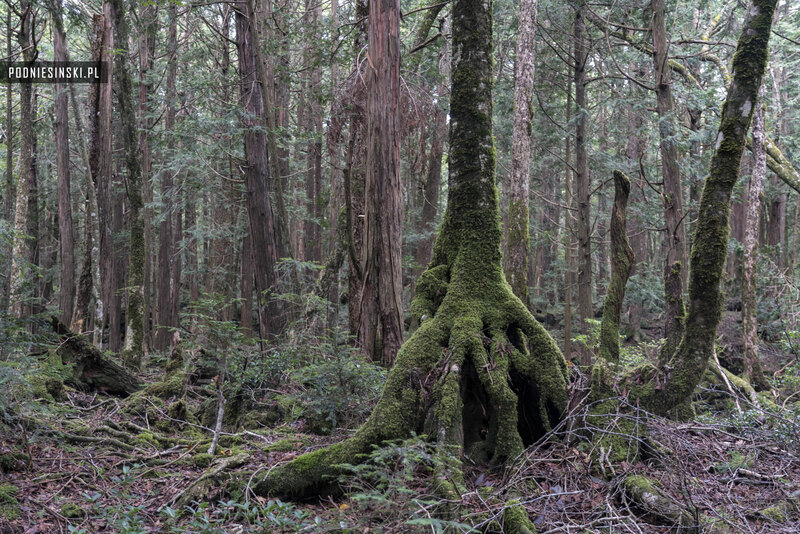 The extraordinary history, numerous questions and tragedy of the Aokigahara Forest encouraged me to visit this place and see how many of these stories are true, and how many are Japanese myths and legends. 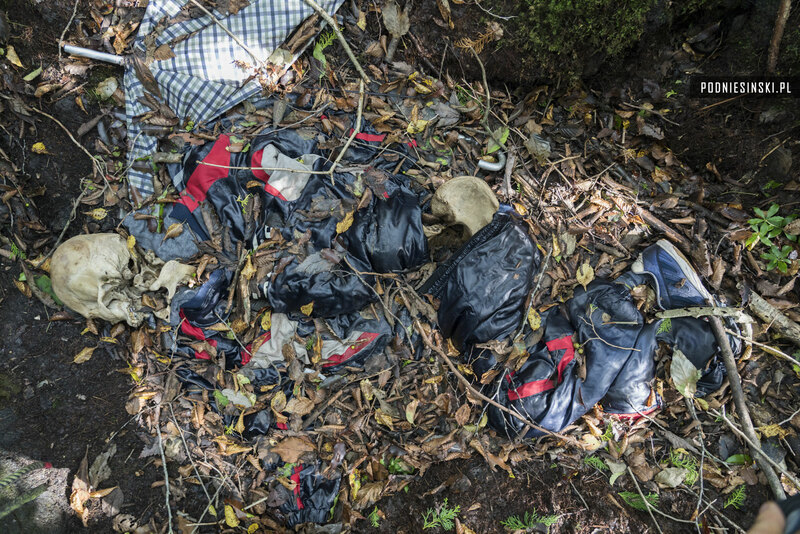 The average tourist visiting Aokigahara is unaware of the tragic events that took place here or its infamous reputation. The local authorities promote it as a hiking destination with many walking paths, caves and breath-taking views of the nearby Mount Fuji. Due to its location, the ground here is uneven, rocky and dotted with hundreds of crevasses and caves. Tangled, curving roots, unable to bore into the volcanic rock, wind along between the stones like snakes. 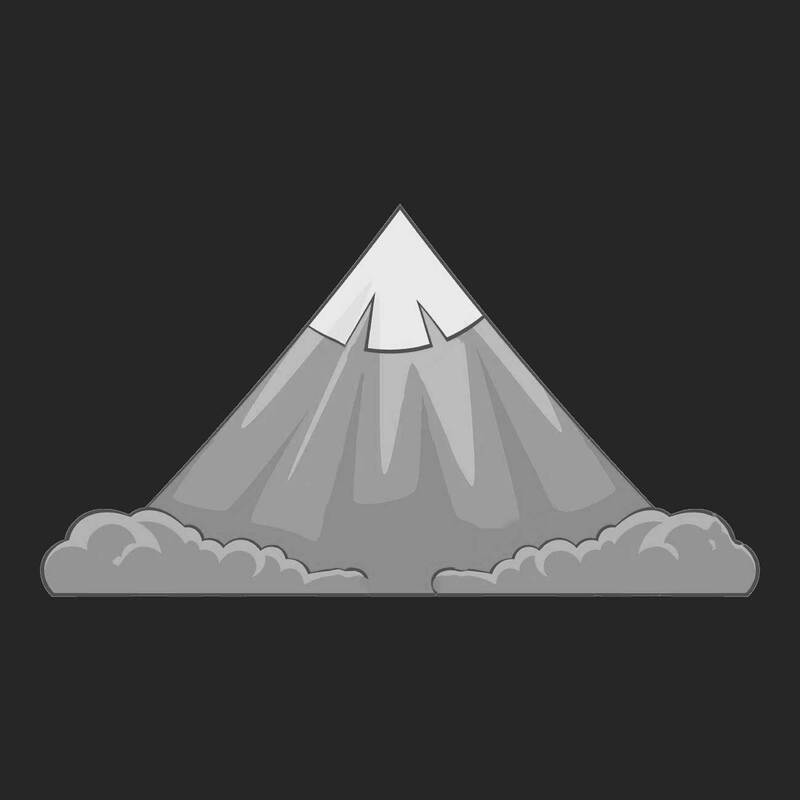 More disquieting than the difficult terrain, however, is the sense of isolation caused by the stillness, overwhelming silence and unusual calm. The dense forest effectively limits access to sunlight and creates a natural sound barrier, causing a dark and depressing atmosphere to prevail. Tales that no GPS signal can penetrate the thick canopy of trees or the iron-rich volcanic rock can make compasses read false seem to us like fabrications. With the GPS and maps on our smartphones, we can check our location and venture deep into the forest without any worries. There are no tourists or animals here. We find nylon strings that lead us deeper into the forest. Hundreds of strings. They were unrolled by potential suicides so that, if they changed their mind, they could find their way back and go home safely. The multicolored strings change direction, fork out or connect with others. It is as if the suicidal person was wandering around, unable to decide whether or where to take his life. But every string ends somewhere. From that moment, there is no turning back. If the desperate person chooses to move onwards, he will not find his way back. The number of strings is so large that it is impossible to check all of them. You have to choose. Sometimes, to find out what is at the end, you need to go on a kilometer or more. Once, we find small Buddha statues suggesting that someone wanted to commemorate a suicide in this place. 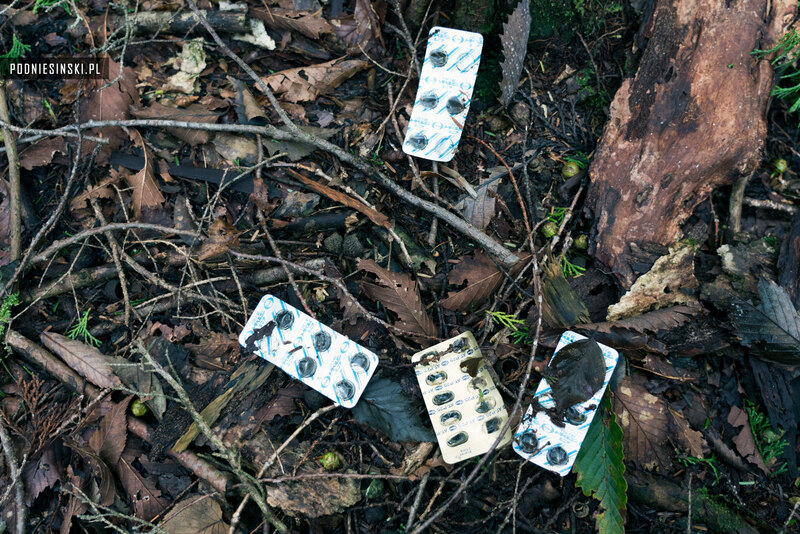 Other times, there are remnants of clothing, empty packages of pills or ropes hanging from trees. Our imaginations conjure up many different scenarios. Disappointment in love, job loss, financial problems. Perhaps someone had an unpaid mortgage, couldn’t support his family and did not want to be a burden to them any longer. Did he hang himself or swallow sleeping pills? None of us considers what we will do if we find a body. It seems so unlikely. After several hours and a dozen or so sites, I even start to wonder if all of these strings had been deliberately placed to make it easier to find places where someone made an attempt on their life. Maybe they are signposts for curious tourists looking for extreme sensations, to further increase the atmosphere of terror. We decide to head deeper into the forest without looking for any signs. The long, monotonous journey through the dense forest that is not only depressing, but also exhausting. Evening is approaching, as is our time to depart. I decide, however, that we will move a little bit east and return by a different path. That decision turns out to be a fateful one. Soon, one of my colleagues comes across toys under a tree and I, several minutes later and 100 meters further on, notice a small hollow where I find human remains. Above them hangs a rope, suggesting the cause of death. 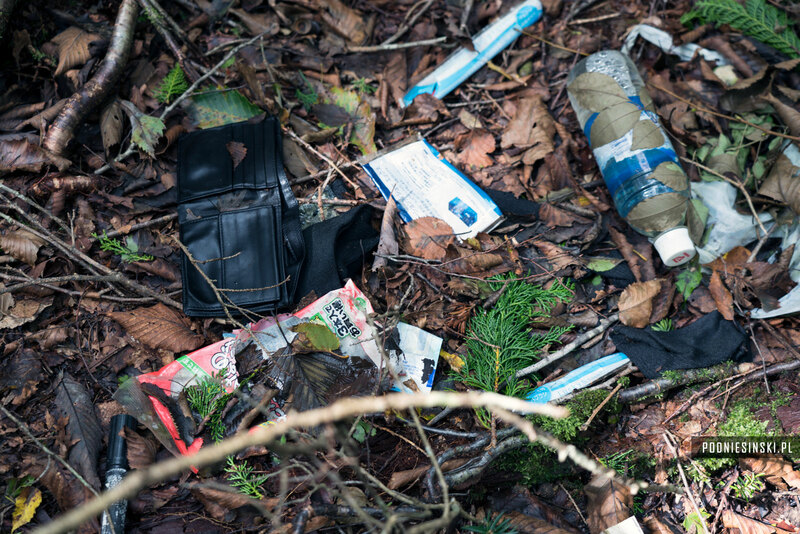 Right next to it is a small backpack containing personal objects and documents. It is as if the person who committed suicide intentionally wanted to protect them from the elements and facilitate their subsequent identification. The first thing that catches my eye is the navy blue outfit, under which I can see bones and a skull protruding. 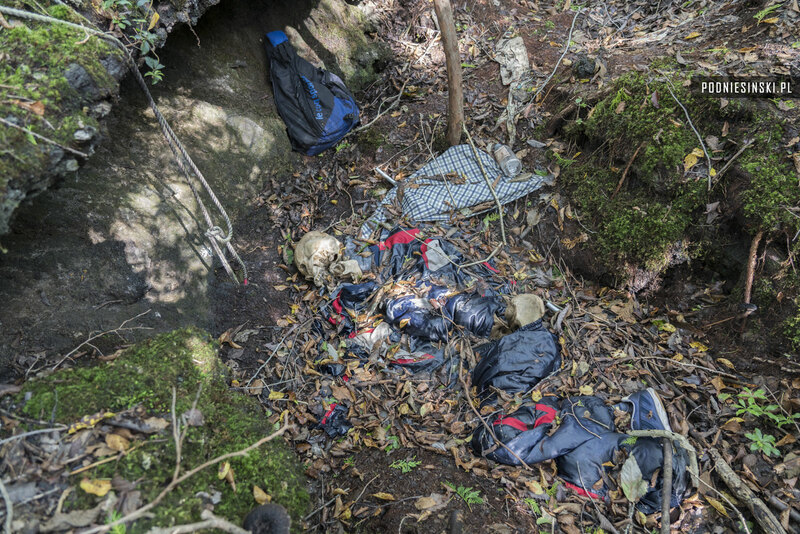 In such a hot and humid climate, the sight of an almost completely decomposed body is not surprising, and the undamaged clothes and other objects left behind indicate that this suicide was carried out a few months ago. It is difficult to describe precisely what is going on in my head at the moment. Disbelief mixed with terror and hundreds of questions. What was this person, how old was he, how and why did he commit suicide? There is one thing, however, of which I am sure. We have to inform the police and tell them about the place where we found the corpse. 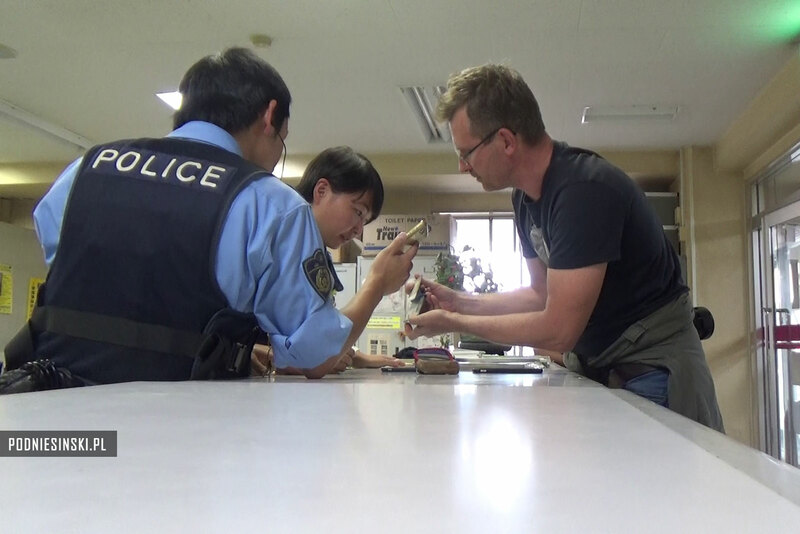 We aren’t able to do this by phone, so we head back and go straight to the police station. As I suspected, no one speaks English at the station. Only entering the simple phrase “I-FOUND-DEAD-BODY” into my smartphone’s translator and then showing pictures of the corpse causes some movement. 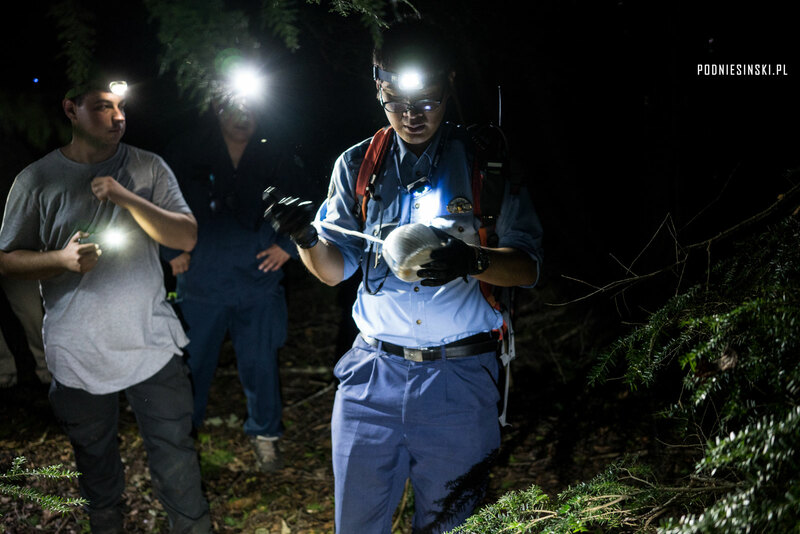 It looks like they are used to such reports, but despite the late hour, they immediately head to the forest to confirm our discovery. And we accompany them. 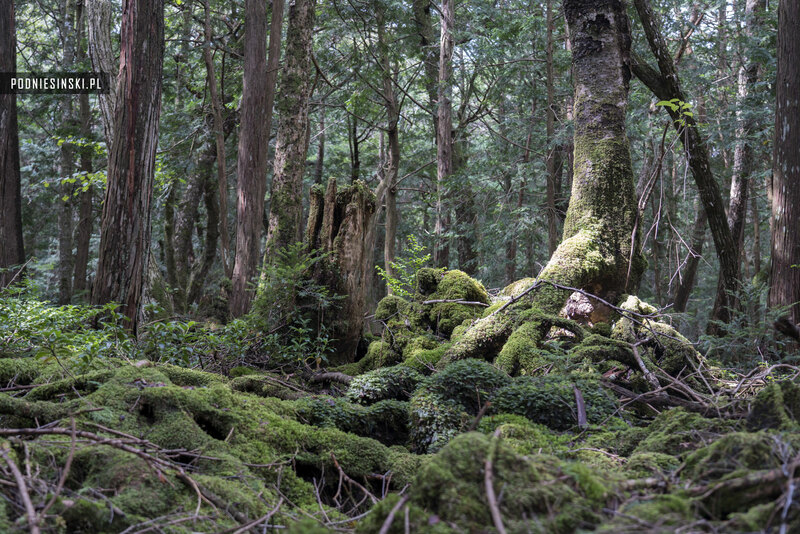 If the Aokigahara Forest gave the impression of being somber and dead during the day, the darkness and silence only deepens the atmosphere of horror. Adding to this scene people with flashlights in their hands tearing through the undergrowth at night, it is so surreal that it’s hard for me to believe that I’m actually taking part in this action. The entire incredible situation reminds me of scenes from the American horror film. Emotions reach their zenith when I see how the policemen walking with us have begun to unroll a nylon string. One identical to the hundreds we saw earlier in the forest that made us wonder if they came from suicidal people or extreme tourists. Now, we are discovering one more use. Although the police have a professional GPS receiver, they prefer a simpler and more reliable form of protection against getting lost in the forest. It turns out that the stories about disappearing satellite signals and compasses going crazy have a lot of truth. After more than an hour we reach the place. While the policemen are doing their inspection, I wonder how many more bodies could be in the forest, since it took us only a day to stumble upon a corpse. Or how many did we not notice and passed during our wander through the forest today. And how many will ever be found? In this environment, only a few weeks are needed to the body to decompose entirely. 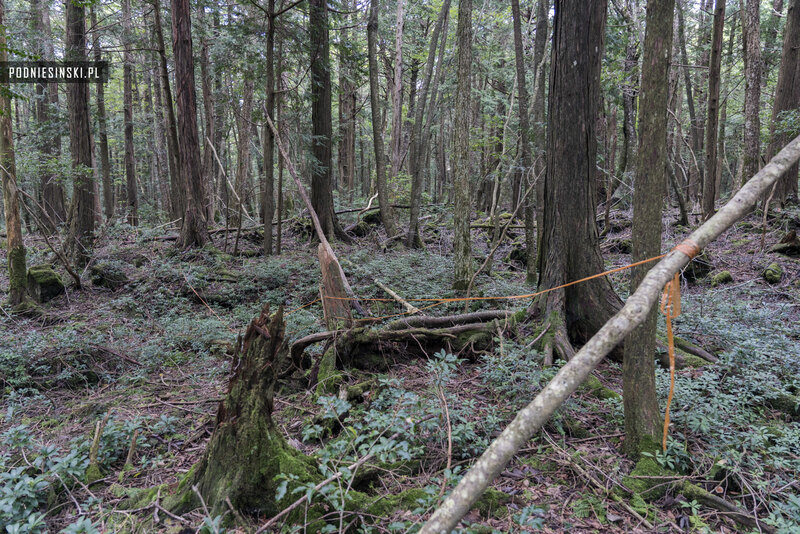 My visit to the Aokigahara Forest did not give me answers to all of my questions. I am, however, convinced that it helped dispel the doubts of the deceased man’s family. 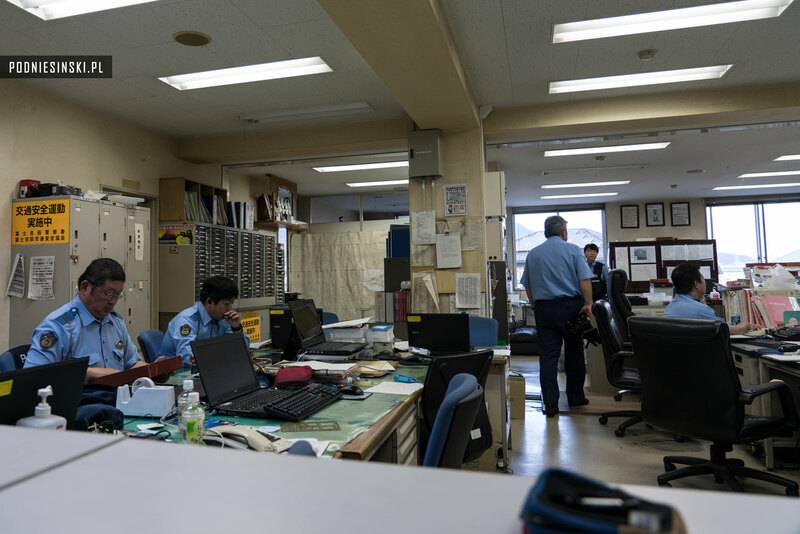 This whole time, someone in Japan has been awaiting news of a missing husband, father or friend. Often, waiting in uncertainty is worse than being informed of the person’s death. Families searching for a missing loved one go through the phases of mourning — from shock, to denial, and then to reconciliation or acceptance. They prefer to know even the worst truth, light a candle and say goodbye, than wait forever for a person who is stuck somewhere between heaven and earth. Thank you very much, shocking. I will meet a japanese Prof. for history (University of Osaka) in next days and will show your slides. I will tell you, what he knows about that.